Yep. There’s another marketing term and strategy, crowdsourcing. Crowdfunding is the practice of funding your project through donations from people – a large number of people. Crowdsourcing does use lots of people, but to generate ideas, not funds. You heard the saying, “Two heads are better than one,” right? Well, this practice is putting it into action. But, how do you go about using it? Below are five ways to get it going. Some are free and some involve a bit of money. Simply ask your readers for their input through a blog post. Request they put their input in ‘comments.’ And, don’t forget to share the post to your social networks. You can also ask a direct question on your social networks. You’ll get responses and you’ll also boost your social engagement. I’ve used this strategy on my blog. I’ve done it for a number of things, such as the best logo and the best book cover. People love giving their opinions and you get useful marketing information. A $10 dollar gift card to . . .
You get the idea. Come up with a prize that your audience will value and want. 3. Get a conversation going. You might ask your audience to share a story, possibly a before and after story of how your service or product helped them. Let them know their story will get visibility on your website and through social media marketing. You might also ‘take it up a notch’ and add a freebie. Always have a WIIFM (what’s in it for me). Surveys are another powerful tool. Through questions, your readers will give you information on what they need or want AND on what they don’t want (just as important). I’ve used surveys to gather information to use to better serve my audience. And, they work. The information you gather can help you tweak your marketing strategies. You can also use the information to create blog posts, lead magnets, reports, and more. This is another great tool to gather needed information. I’ve used this tool also and it’s always proven to be helpful. Take advantage of the world at your fingertips, involve your audience. Crowdsourcing will help you do just that. Make it a part of your content marketing strategies. Email marketing is a must. It’s the only way to develop a relationship with your audience. It’s like visiting each one of your subscribers daily, once a week, or monthly. You visit however many times you and your subscribers feel is right. This marketing strategy builds trust. Now, although you may be sending your emails faithfully, are they being opened? If not, that relationship becomes that of an acquaintance. You don’t really have the opportunity to build that trust. There’s no personal connection, all because you’re not getting to visit. The importance of getting your email opened within 24 hours is critical. So, your email’s lifespan is short – it’s fleeting - barely one day. Knowing this, it’s essential to know the best days and times to send your emails so they have the best chance of seeing the light of day. This should be the focus of your email marketing strategy. According to Campaign Monitor (2), 53% of emails were opened during work hours, 9AM to 5PM. The peak hours seem to be 9AM to 4PM, with a drop around 1PM (lunchtime). Thinking about it, I can see that most employees would open their emails during work hours. Most people have too much to do after work to stop and get online after working all day. Side note: some businesses are creating open floor plans for employees to discourage internet browsing and emailing during work hours. One important and interesting note: Mobile devices seem to have the opposite relationship. Emails on the iPhone, Android, and other mobile devices are opened on off-work time – going to and from work, lunch hours, breaks, and so on. Going back to the GetResponse analysis, 4-5PM saw the most email renderings. What I could gather is ‘renderings’ means ‘seen,’ whether glanced at or fully opened. According to most statistics, as of last year, most emails were sent on Wednesday. Saturday saw the least emails sent. The theory for Friday getting the highest CTR is possibly Friday emails also get read over the weekend. Okay, it’s easy to see that email marketing needs to be tested. Aside from the fact that these statistics are from last year, every subscriber list is different. This means you need to find the days and times that work best for you. Maybe you’re marketing to stay-at-home moms. The workday results won’t cut it with this audience. Or, maybe your list is retirees. Or, maybe, maybe, maybe. As with everything else is marketing, strategies and what works is always changing and always need to be tested for your particular audience. I’m changed my email sends to Tuesday. Wednesdays were okay, but I want to see if changing the day will make a difference. After Tuesday, I’ll check out Saturday. Another note: From just about all the analysis going on, Mondays don’t work well because it’s the beginning of the work week and on Fridays people are thinking about the weekend. Oh, well. That’s why testing is the only way to go. Some social networks, like Facebook, LinkedIn, and GooglePlus, have optimization features for shared blog posts. It’s kind of how you’d optimize your blog posts on your website. Along with creating a keyword effective and powerful blog post title, you need to keep the characters to 40. Even in blog posts, search engines only pick up the first 60 characters of the titles. Use those characters carefully. According to webinars by Marketing Experiments, make your title a complete thought. Along with this, be sure to include your keyword. Lose Weight - 7 Pounds in Just 7 Days. Notice the title is a complete thought, it has the WIIFM (look your best), it’s keyword effective, and it under 40 characters. 2. Create a brief, but powerful description. Along with the post title, you’ll be able to add a description of the article. Facebook, LinkedIn, and Google+ all allow for this additional search engine optimization. Absolutely take advantage of it. See the example below. You have plenty of room to show your ‘authority’ and help others with your niche ‘words of wisdom.’ And, don’t forget that search engines use descriptions to further categorize content. S0, how would you write a description for the article in the Google+ share? (1) Google’s Penguin algorithm takes a long, hard look at your website’s external links. If a link is suspicious or outright spammy, the search engine giant will not be happy with you. (2) Google’s Penguin algorithm takes a long, hard look at your website’s outbound links. Better watch out. Either of these two descriptions is fine. The first though, gives more information as to ‘what’ the possible problem is with outgoing links (suspicious or spammy). In (1) above, there are 150 characters, and I have four keywords (can you find them). Along with this, the description is clear and to the point. In (2) above, there are only 87 characters, but it’s not as informative as the first. It does though have a ‘warning’ (better watch out). So, you can see that they both have the potential to grab the reader and help the search engines find and categorize the content. Note: The article is about accepting third-party links. It focuses on whether to allow any or all links the guest blogger has in the post. These links are considered outbound (or external) links, as they’re going out from your site and in to another site. 3. Use hashtags where applicable. While you may associate hashtags with Twitter, Tumblr and Google+ also provides this powerful feature. So, what exactly do hashtags do? They are basically keywords or tags that are relevant to your article’s topic. They help the social engines on the network you’re posting to identify and categorize your content. Hashtags also allow other users to quickly find posts that are relevant to the topic they’re looking for. Hashtags work. Hashtags are powerful. You should use hashtags where applicable. There are lots of other social media publishing optimization strategies, but these are the top three in my opinion. They help boost engagement and help the search engines find, categorize, and use your content. A new study shows evidence that there is a correlation between lead generation (through inbound traffic) and blogging frequency. 1. Search engines love fresh content. If you’re offering content that is valuable to your audience, it will boost your search rankings. 2. It will increase your authority and credibility. Well, there’s another benefit of blogging often: you’ll generate more leads. More potential customers, more potential clients, more connections making their way to your website. The obvious answer is as much as you can, more is better. If you can blog daily, great. But, how many people or home/small businesses can realistically do this, especially if you’re a solopreneur? Not many. Luckily, you don’t have to blog every day to make a difference, to boost your lead generation. It doesn’t take as much as you might think. Keep in mind that this is an overall amount. More specifically, businesses with 1-10 employees saw a significant increase with 11+ blog posts per month. I publish new content 3 times per week, averaging about 12 posts per month. For many, this is doable and it’s enough to make a big difference in your visibility, inbound traffic, and opportunities. To post new content this often is a commitment. It’s a matter of creating a writing schedule, possibly having blogging templates to work with, and keeping up with what’s going on in your industry. Write about what your audience wants to know and what they should know to move forward. If this will put a glitch in your other work that needs to be done, you can always outsource your content writing. Okay, plug aside, what was also interesting about Hubspot’s study is that the benefits of blogging more frequently were more significant with B2C than B2B companies. This was true for inbound traffic and inbound leads. Another factor relevant to blogging more frequently is you’ll generate more blog posts that will keep working for you. I have posts from years ago that still get traffic. Obviously, you need to make sure your older posts still offer relevant information and the links still work. If not, simply update them a bit and they’ll be ready to re-share. Blogs are influential. They’re persuasive. Offering valuable content on a regular basis of at least 3 times a week will boost your inbound traffic. Lead generation – the marketing process of motivating interest in what you have to offer in an effort to make sales. A lead – a business or person who is interested in your product or service, a potential client or customer. B2B – Businesses that sell to businesses. B2C – Businesses that sell to consumers. Last week I talked about creating your own social network posting schedule template. In that article I mentioned having an Excel column for Titles in the template. I added a ‘Title’ column in my template, so I can tweak the title of a particular post for each time I tweet it within a week, a month, or other. Why do you want to tweak your titles? The hard truth is that only a minute fraction of your followers will see a particular post when it’s published. Those who actually see it at a particular time may not be motivated by the title. In fact, even if you space out that particular post, if you didn't get good engagement with the first title, try another one. For example, below are three different titles. Each title will motivate different Twitter users to engage with the post. Words are powerful, but not everyone will be motivated by the same combination of words. Mixing it up broadens your chances. Take a look at the titles again, is there one that is more enticing than the others? Which one, if any, would motivate you to engage with the post? What about the titles below? Content Marketing and Images – How Many Types Do You Use? Is there one that would motivate you to engagement above the others? I prefer the last three. If I had to choose a favorite, it would be the last one. It would be the one to best motivate me to take some kind of action. In copywriting it’s advised to write lots of different titles for an article. Then decide which works best. But, with publishing on social networks, you can use them all. Then analyze which gets the most engagement. I do this and the title really does matter. Remember, the title is the only clue the reader has to what your article is about. You need to get it just right. Or, at least keep trying until you find the one that works best. Even then though, you’ll still throw a wider net if you vary the title up now and then. The first title is the one I originally used. But, I got lots more engagement after I switched to the second one. One other factor to consider when using a social platform that limits word count, is the length of the title. Twitter only allows for 140 characters. You’ll have to tweak the title until it sounds great and is short enough to allow for the link and hashtag keywords. One final note on titles: You must make your title relevant to the content. Be sure to give the reader what the title promises, without having to jump through hoops. While this is a no-brainer, lately, I’ve come across a number of Tweets that have motivating titles, but once on the site, it’s an opt-in landing page. I would have to give my email address to get the information the title promised. So, think of your readers when crafting your titles. A note about posting: Try not to use the same content over and over within the same day. I’ll post the same content during the day and then again in the middle of the night, only to reach users in that time zone. But, more than that isn’t a good idea. And, I don’t repost every tweet twice in one day. And, don’t forget to share the relevant titles (posts) of other users. 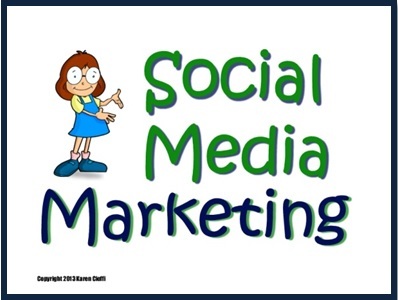 Want to get your social media and other inbound marketing strategies moving forward? You'll do just that with Get Website Traffic with Inbound Marketing. This is a 4-week e-class through WOW! Women on Writing and covers: optimizing your website, blogging smart, email marketing, and social media marketing. It's interactive, in-depth, and priced right. Check it out today. CLICK the title link just above for details. I'm going to talk to you about something I talked about a couple of years ago. Not the same words, but the same ideas. Today we're going to chat about verbs … and how the verbs you use can make or break promotional writing. Let's start by recalling briefly the 4-Ps: Promise-Picture-Proof-Push. You use the "picture" part of the 4-Ps to make your promise and the benefits of the product come alive. Your seventh grade English teacher told you something like: The verb is "a word that expresses action, being, or state of being." Not very exciting. I much prefer grammarian Karen Elizabeth Gordon's description. This author of numerous entertaining and offbeat grammar books calls verbs "the heartbeat of a sentence." The verb in the first sentence of each example (I've underlined them for you) is what you might call an "everyday verb." It isn't very lively. The verb in the second sentence of each example sounds and feels more active, more dynamic. "Covered" just sits there … like an unmoving blanket. When we writers use an everyday verb, we feel forced to use an adverb to add pizzazz to the sentence. I added "completely" in this case. Change "covered" to "splashed" – a more active, dynamic verb – and you can feel the different colored lights dancing on the sands. Everybody dreams of "earning huge profits." When I read it, though, I get the image of someone standing in line at the paymaster or sitting at a desk opening the pay envelope. I tried to enliven the image by adding the adverb "quickly." It helped a little. But not much. But, look at "reaping." This verb brings to mind amassing piles of golden wheat … or golden cash. No adverb necessary. Use everyday verbs, the ones that lack excitement and verve, and you'll find yourself trying to bolster their visual power with adverbs. The adverb is not your friend … With adverbs, the writer usually tells us he or she is afraid he/she isn't expressing himself/herself clearly, that he or she is not getting the point or the picture across. It's natural to use everyday verbs and adverbs when you write … in your first draft. On one of your editing/rewrite passes, seek out every adverb. When you catch one, try eliminating it. But don't eliminate it simply by deleting it. Eliminate your need to use an adverb by examining the verb you're using. Is your verb as powerful, as visual, as active as it needs to be? If you're depending on an adverb to give life to your verb, your verb is weak. Slash it out. Replace it with a strong verb. In On Writing Stephen King presents this example: "He closed the door firmly" vs. "He slammed the door." You hear "slam" in your mind's ear. "Closed firmly" barely makes a whimper. Where's that? In copywriting, it's where you paint your picture of the reader's life as the product will change it. Or, where you describe the product's benefits. Or, where you describe what the reader might lose by ignoring the opportunity you're giving him. When you need to make the biggest impression, that's when you wear your fanciest clothing … strong, active, visual verbs. An article I wrote a while ago, Website Ranking - Basic Metrics (1), got a lot of engagement. Interestingly, the engagement came from both sides of the coin – those who like knowing their ranking numbers and those who don’t. On the ‘con’ side of dealing with website rankings, some appreciated the information the article provided, but don’t hold much weight in the ranking system. They judge how they’re doing by the traffic they see coming to their sites and the engagement they get. They kind of feel rankings are too volatile to work with. I tend to agree with this strategy . . . in part. While, ranking plays a factor in whether the search engines will use your content as the results of a search query, it’s far from consistent. One day you’re doing ‘good’ in the rankings and the next your floundering. It can feel like if you hiccup or turn-your-head, your ranking numbers will fluctuate. Sometimes, significantly. So, while worrying too much about ranking numbers will definitely give you a headache, it may not do much to actually boost your rankings. On the flip side, others felt the ‘website ranking’ information in the article was very helpful because it gave explanations of some of the metrics involved. They felt better equipped to head in the right marketing direction for their sites. Too many bounces? Now they know why that may be. Visitors not staying very long? Now they know how to fix this situation. But, the problem arises when you become overly involved with those numbers. 1. Take the time to learn the marketing and SEO basics. Know what Google wants and try to appease the giant as best you can. You don’t have to check your numbers every day or every other day. Once a week should give you a good indication of where you’re heading or where you’re going wrong. You want to use those ranking numbers as a guideline for some of the metrics, such as visit lengths, bounces, and sites linking in. Going astray in one or two areas? Adjust how you’re working those areas. 2. Know your audience and give them what they want. And, be sure the information you provide is helpful, is actionable. People know if you’re earnestly trying to be helpful or just slapping up fluff. It will make a difference in your shares, comments, engagement, and rankings. Therefore, it will matter in your sales. 3. Don’t limit yourself. 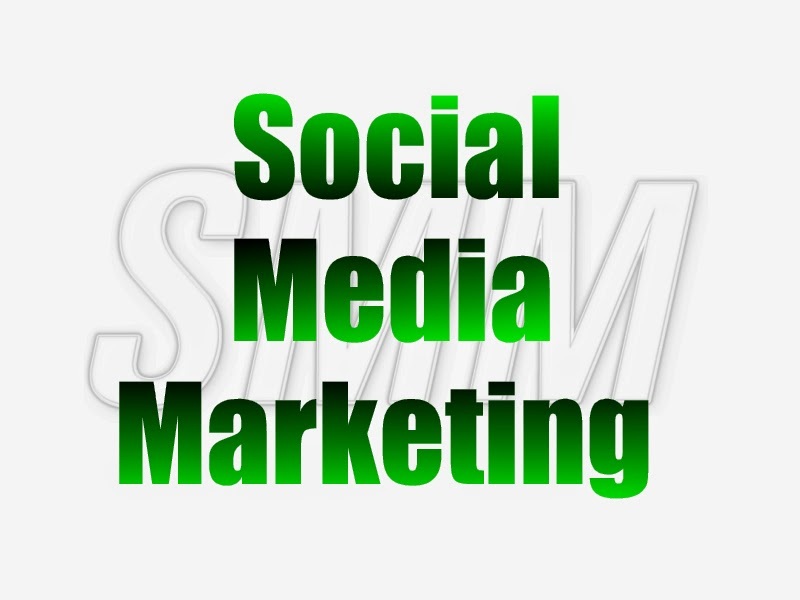 Use social media marketing as another means of traffic. Be active and helpful (share the posts of others) on the networks you participate in. This motivates other users to do the same for you. Posts and content you share to sites like Google+ and Twitter are picked up by Google’s search engine and used in its search results. Just be sure to include relevant keywords when you post your content. And, if there’s a post description option, be sure to fill that in also. There’s also LinkedIn’s Pulse – LinkedIn’s publishing platform. 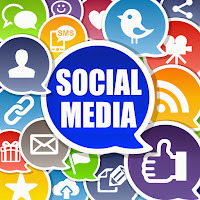 You can broaden your visibility and marketing reach by posting content on this platform also. 4. Test what you’re doing. Does some content bring more traffic and engagement than others? Write more on the topics that work. Do you find a particular social channel works better for you? Then use it more. I’ve noticed that social media content is currently the heavy hitter. I get more engagement with that type of content than content on blogging and email marketing. 5. Don’t overstress numbers. Do your best. Follow the rules. Write quality content. Share what you write. Share the ‘shareable’ content of others. And, have great products or services to offer. Writing for your audience is really what it’s about. If you’re like me, you have a social media posting schedule in place. It might be through an automatic service or done manually. It’s a schedule to help you be consistent . . . and stay visible. But, do you actually keep track of which bits of content you’re sending where and how often? Twitter is my primary social media network. I schedule tweets for about every hour and 15 minutes. I space the time more during the middle of the night to around every hour and a half. To do this takes time. A short while ago, I tweeted unique posts over a 7 day period, every hour. That's not including the shares of others' tweets or posts. But, again, this takes time and effort. So, my new schedule is to REPEAT some of my day tweets during the middle of the night. 1. The time and effort factor. There’s just so much a solopreneur can do. 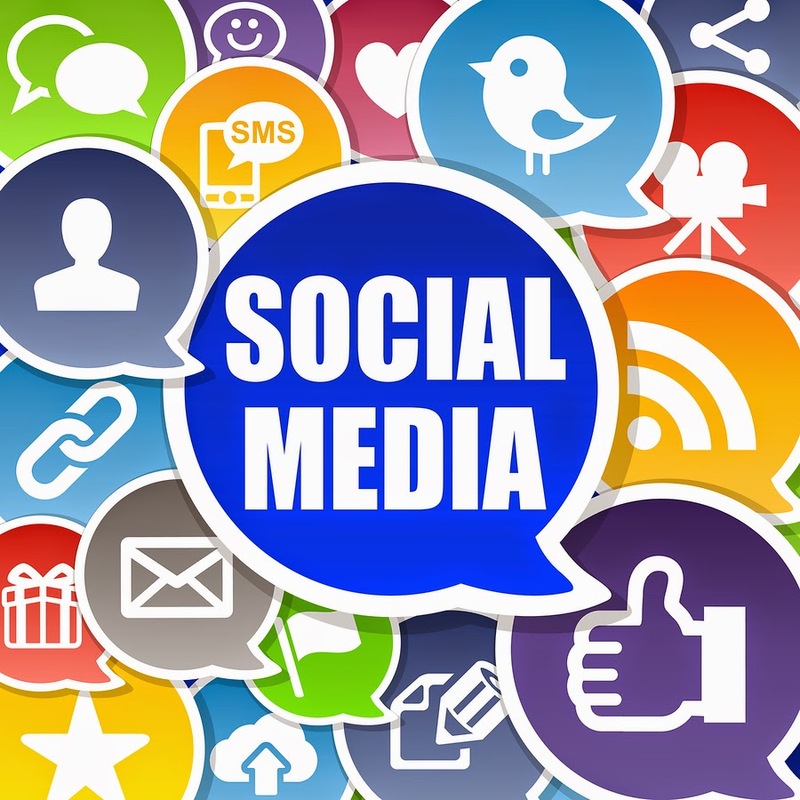 To make things work, you need to streamline your processes, including your social media marketing. 2. Within one day, the chances of your tweets being seen by even 5% of your followers is minimal if at all feasible. Having the same tweet posted at two different times of day boosts that post's visibility chances. I don’t repeat all of my day messages, just enough to make the process a bit more streamlined. Since I don’t post as heavily on the other social networks, I don’t schedule those posts. As I have new content or I come across interesting and helpful content from others, I share it. This may not be the best strategy to use, but until I tweak my processes, that’s how it is. Currently, I use a Word doc to list the posts I'll publish on Twitter over a two to three day period. Then I transfer the content to an automatic posting service for Twitter – SocialOomph.com. Now, for those of you who spread-it-around, heavily working three and four social networks, it’d probably be a good idea to use a spreadsheet for each network. Over at HubSpot.com, they have a post with a free downloadable Excel social media publishing schedule template. While I love the information HubSpot provides, every ‘free’ download they offer requires your email address. This means you have to sign up for yet another email list. Probably one of their client’s lists. But, with this particular schedule, you can easily do it yourself. Go over to the article at HubSpot and ‘copy’ their format. Then simply create your own Excel document. If you notice, I have several Date, Time, and Title cells. This will allow me to schedule a particular post (possibly one that gets lots of engagement) throughout the month, in advance. The reason I have a row for ‘Title,’ is so I can tweak the title for each tweet. This will help give that post a better chance of being clicked on. You can do the same for each of the social networks you use. Then get started creating your own template for your social media posting schedule. I’ve decided to make Wednesdays TIPS days. The posts may not be too long, but they will be packed with actionable tidbits of content writing and content marketing tips. Today is about the power of GooglePlus. I do marketing research every day and a littler earlier today, I was looking for GetResponse’s blog page. When the first SERP page came up, I scrolled down just a bit and there I was! I hadn’t planned on doing a post about Google+ but after this happened I wanted to share with you how powerful this social media network is. If you notice, I’m just below a link to Forbes and Aweber. It seems the Google spiders search the network and choose relevant links for search queries. And, this was an article I shared from another site. It’s not even my own article. But, sharing the article to my Google+ page, it got picked up as a search results link. And, do you notice something else about the screenshot? There's an image included with my link. That's always a good thing, since people connect more with visuals. If you haven’t been using Google+ as part of your social media marketing, get started today. Being a marketer is a never-ending learning process. You’re always reading the heavy-hitters and doing research as to what’s working ‘now’ and what’s not. The reason? The rules to the game are always changing. The optin process has changed. I’ve noticed it and felt it, and I’m sure most of you have too. People don’t want to sign up for anything, unless it’s something THEY CAN’T DO WITHOUT. Unless it’s something THEY ABSOLUTELY, NO DOUBT MUST HAVE. This is how your email optin offer, your lead magnet, must make the readers or visitors feel. It’s got to be something that will motivate them to give you their precious email address. Even this isn’t enough anymore. That’s what this new strategy is all about. You have to give ‘em more. Give ‘em options! After reading the above mentioned article, I started tweaking my optin offers. Being a solopreneur, it took a few days, but was well worth the time and effort. Before I get to my own changes, I’ll go over some of the exciting tips Matthew offers. How do you boost your email conversion, specifically your subscriber list? If you’re not sure what an optin offer or lead magnet is, it’s simply what you’re offering the reader for his email address. It has to be something that will be of value to your audience. Okay, on to the list of tips. Make the offer relevant to what the visitor will be reading. 1. The very first step is to create a list of offers that will be relevant to the different types of blog posts you create. It’s easier than you think. It’s all about repurposing. I’ve been doing this for years now. I’ll take my posts and combine them into ebooks, e-courses, webinars, etc. But, I hadn’t thought of creating PDFs of individual articles as lead magnets. If you don’t know which of your articles are the most popular within the particular topics you write, do some research. Find a few of your heavy-hitters. Find the ones that have gotten lots of shares, lots of engagement, or lots of comments. Take the top 5 to 10. Now you have your offers. 2. Tweak each article, if needed. Then turn each one into a PDF and upload them into your Media Library on your website. 3. Create optin boxes for each of your new offers. 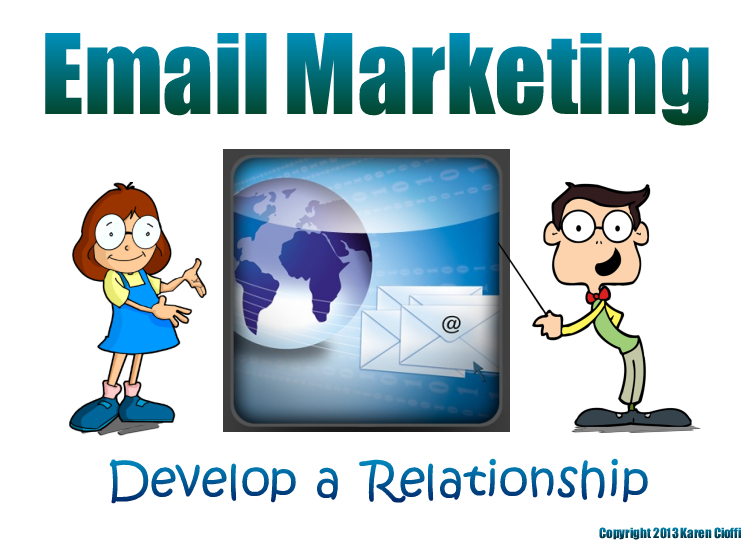 This can be done through your email marketing service provider. Services like GetResponse have easy-to-use templates. 4. Create a Subscriber Resource Page on your website. This page will list all your lead magnets – they should link to their related PDFs. 5. Next, it’s on to inputting the link to that Resource Page in your Welcome Message. I’ll admit when I first read the beginning of Matthew’s article, my mind did a flip-flop. Did this mean you need to create a new campaign (list) for each of the new offers? Yikes. Luckily, that’s not the case. It’s a super-simple process. As just mentioned, you simply use the campaign you already have in place and switch-out the link to the old offer with the new link to the Resource Page. Make it something that’s relevant to the focus of your site. For me, my site-wide lead magnet is “Marketing Your Way to Website Traffic.” It’s broad enough to cover the primary focus of my site, content marketing and inbound marketing. You can put this lead magnet in the sidebar, in your header, or other place it will be easily and quickly visible. 7. Now, you can put it all together. Start putting relevant opt-in forms at the end of you blog post. This is something I’ve been doing for quite a while. But, I’ll be taking it up a notch with this information. 8. Watch your opt-in conversions increase. It really is amazing how simple it all is. It’s something that can be done in a day, maybe two, depending on your schedule. 9. Don’t forget to test your lead magnets. See which ones are working and which ones need to be changed. Now, on to my efforts to create this process. 1. The first thing I did was to create separate lead magnets for my different campaigns. Since only two of my campaigns would need to be updated for this, I created the two primary site-wide lead magnets for those two sites. 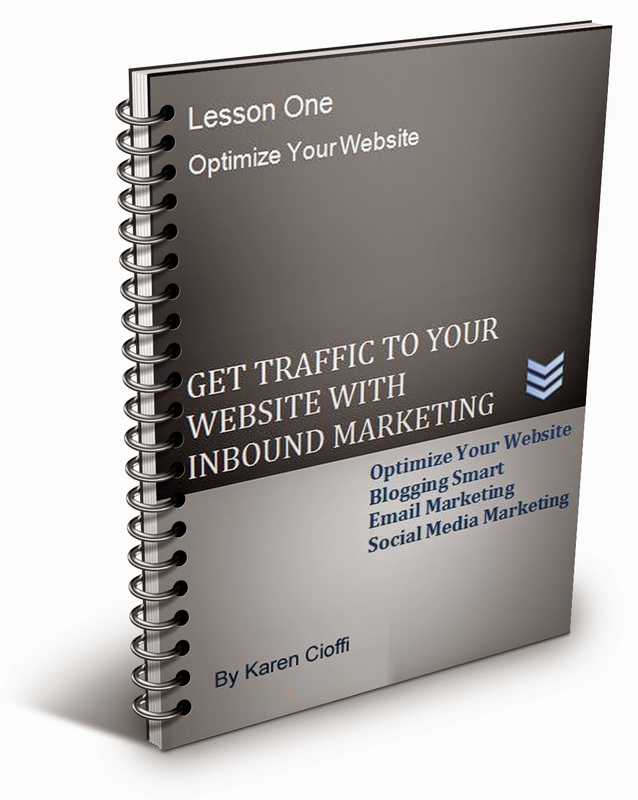 One campaign is on Inbound Marketing and Content Writing. The other is on Book Marketing and Writing. And, you don’t even have to create an elaborate cover. Just a report style cover is fine. Below is an example of one of my new lead-magnets. I did this with Microsoft Word. Simple and Quick. 3. I created a new Subscriber Resource Page with ALL the links to the opt-in offers. 4. I changed my Welcome Message to reflect the new link to the Resource Page. 5. I created new opt-in forms for the different niches I want to hit. Below is an example of one. 6. Since I’m offering some new lead magnets to new subscribers and they’ll have access to ALL the offers on the Resource Page, I created a Special email for my existing subscribers letting them know about the Resource Page. 1. Your subscribers deserve the new offers. You can call it a Special or Bonus for being subscribers. 2. If you don’t provide the link to the Resource Page, existing subscribers may opt-in multiple times for the different offers. Okay, that’s about it. Get started today to create a more powerful email marketing strategy with these tips! I have two focused campaigns. Each campaign gets specific information on that niche. If you want information in both niches, fill out both boxes! No matter what business you’re in, words are at the crux of everything. Whether it’s an in-house note, instructions, guides, web copy, content writing, fiction writing, book marketing, entertainment . . .
You get the idea. Words instruct, alert, command, teach, enlighten, encourage, amuse . . . and they motivate. There are powerful words. There are magically motivating words. There are words that work. Over at Red Website Design (1), they have a list of “40 power words” that will motivate social media users to share your posts. And, what’s interesting is each social channel has its own motivating list of words. Since my main social media tool is Twitter, I’ll start there. 1. This first one I know from my own experience: #Twitter is a biggie. When I use Twitter in my post title, I get lots of engagement. 2. Next up is #SocialMedia. This keyword is popular. It seems to currently be a ‘hot topic’ word over at Twitter. On my posts, this keyword gets the most Favorites and Retweets. 3. Through my own research I’ve also found #Facebook to be another engagement magnet on Twitter. I guess lots of people who use Twitter use FB also. According to eBiz MBA, Facebook is the most popular social network with 900,000,000 estimated unique monthly visitors (2). This is a network you definitely want to know what words will motivate users to action. This is copywriting 101. Using ‘you’ brings the reader into the conversation. He feels you’re speaking to him. It makes it personal. People love free stuff. Using this word is sure to generate Shares, Retweets, Favorites, and so on. Yep, everyone wants what they want and they want it to be easy to get. This word may make or break a sale. If a customer is about to pay money for a program or product, she wants to know it’s guaranteed. She wants to know that if it doesn’t meet its promo hype or it’s not what she expected, she can get her money back. Why should you buy this product? Because . . . it’ll make you rich, powerful, thin, healthier, smarter, stronger, prettier, handsomer . . . There you have it, a list of powerful, magical words that will motivate your social media connections to take the action you want. Give them a try and let me know how they work.